*MAKE* THE CHANGE YOU WISH TO SEE IN THE WORLD! Somebody’s Trying to “Drive” Me Back to Prison!! 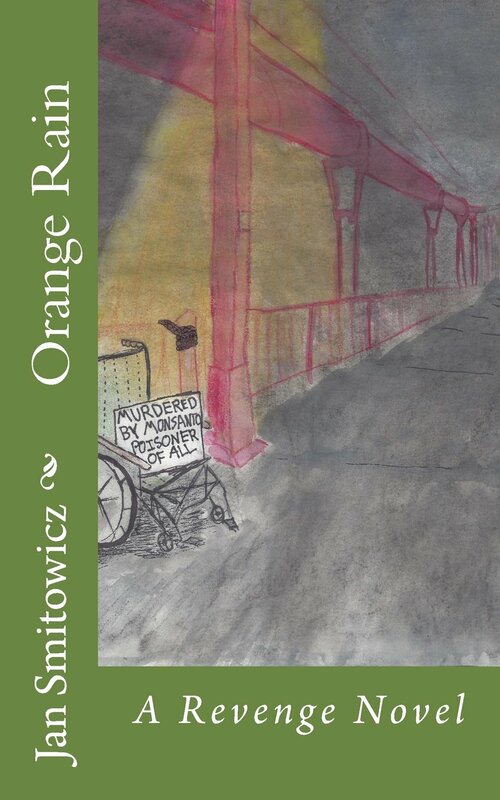 MY ANTI-MONSANTO NOVEL “ORANGE RAIN” NOW OUT IN PAPERBACK! The stunning glacier-carved granite of Yosemite Valley. The eastern Sierra is filled with countless breathtaking sculptured rocks. The amazing sculpted trunk of a ~2,000 year old bristlecone pine in the White Mountains of eastern California. Thanks again to Ailsa at Where’s My Backpack? This entry was posted in Nature, Photography, Pictorials on June 28, 2013 by TheRewildWest. Great natural sculptures, nicely captured…I LOVE the colours and texture of that tree trunk! Thank you! I know, those bristlecone pines are out of this world. Amazing Photos. I especially like the texture of the wood photo! cannot beat a bit of natural sculpture. Nature is a very talented artist. And so are you to have captured this beauty. oh wow! that last picture is AMAZING! What a great shot! What a great find! Looks like a wonderful trip! Sign up for my monthly author newsletter to receive exclusive content, such as unpublished writings, fun contests, *free stuff*, and more. Double-amputee Max and his Vietnamese girlfriend Mai burn for revenge on the corporation whose chemical defoliant Agent Orange decimated their lives. A wild, shocking, blackly comic journey through the dark underworld of mid-1980s America. Purchase Orange Rain by clicking above! "If you yearn for a world where despicable behavior has immediate and devastating consequences, Mr. Smitowicz has your number." Click It or Miss It! Wanna laugh/learn/sometimes be uncomfortable from tmi as I sound my barbaric cyber-yawps? Follow me on Twitter! So What Have I Done For You Lately? 20 Percent Discount Code & Call for Submissions! My Debut Novel Published in Paperback! Look at these badass sites!